The Fellow CPHR title recognizes Chartered Professionals in Human Resources (CPHR) who have made exemplary contributions to the HR profession. Recipients of the award are granted recognition as a Fellow of the Chartered Professionals in Human Resources (FCPHR). A nominee will also have exemplified the values in the CPHR code of conduct (fairness, justice, dignity, respect, and integrity) and have shown adherence to the statutory acts, regulations and bylaws of CPHR Canada and their provincial HR association. Meet the 2019 FCPHR recipients. Principal, CONTACT HR Consulting Inc.
For over 20 years, David Berrington, FCPHR has been a driving force for HR in British Columbia as a professor, principal of CONTACT HR Consulting BC Inc. and as a passionate proponent of the profession. As past-chair of CPHR BC & Yukon from 2004-2006, Berrington’s involvement with the association goes back two decades to when he joined the Strategic Planning Task Force during a period of critical decision-making. That same acumen also served Berrington and the profession on the national front through his Board of Directors involvement with CPHR Canada. Through CONTACT HR, Berrington provides strategic and operational human resources consulting and recruitment services to growing companies across B.C. Berrington’s most recent focus has been helping to advance the burgeoning liquefied natural gas (LNG) sector to develop energy projects in the Province. Berrington continues to thrive in diverse settings, with client sectors that include construction, non-profits, technology, management consulting, education and engineering. A lifelong learner, Berrington’s impact on the evolution of HR education has been similarly extensive: ranging from his inaugural role with HR Development Canada as manager of the HR Centre for Students in Kamloops to his lengthy tenure on the Advisory Committee for the BCIT HR Management Program to his first far more front and centre professorial roles. Currently an instructor with Simon Fraser University’s (SFU) Continuing Studies, Management and Professional programs, Berrington sets the pace and keeps the pulse of emerging HR talent through a variety of strategic planning and performance management courses. Holding both his CPHR designation and Bachelor of Arts Degree from SFU, David has also maintained the highest standards of his own education with a steady stream of professional development ranging from project management boot camps to train-the trainer programs. Moreover, while Berrington exemplifies HR excellence at work and in the classroom, he has helped many others step up to the plate beyond both of those environments as the recent president of the Dunbar Baseball Association. As a business leader who has excelled in the HR profession for over 30 years, Greg Conner has helped share better futures for individuals and organizations alike. Currently vice president of human resources and corporate secretary at BC Transit, Conner has long been regarded for his approachability as much as his demonstrated expertise. As a results-based communicator and motivator, his overarching and passionate service ethic consistently guided and fuelled much of his career. 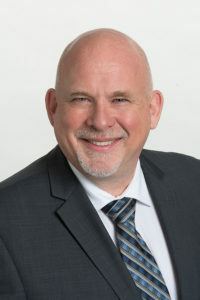 From his earliest days as a training and development manager for the Province of B.C., strategic positioning of the HR profession with a priority on people development has been a focus for Conner. Driven by this philosophy, he became director of the Ministry of Human Resources’ employee services division before moving on to director of HR for Camosun College. Years later, at the heart of technology as vice president of HR and communications with HP Advanced solutions, Conner’s reputation for excellence had become well known. Conner holds a Master’s degree in public administration and a Bachelor of Arts in psychology. He has returned that learning in kind as a sessional instructor at the University of Victoria. He has also been a certified emotional intelligence assessor since 2002. Conner volunteers with numerous community bodies including the United Way of Greater Victoria, Our Place Society, the Make-A-Wish Foundation and Cittaslow Cowichan. 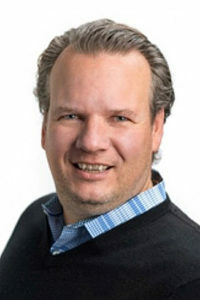 He also serves as chief mentor for FreshWorks Studio (AirSenze Solutions Inc.), an award-winning Vancouver Island-based application development studio that specializes in designing user experiences. Distinguished across decades for her business savvy and HR leadership, curiosity and compassion have served Alice Downing well. Self-employed since 2003 as an independent management consultant in the areas of HR, community relations, governance and trusteeship, Downing was brought on to support Sinclar Group Forest Products Ltd. in their “Whole of Community” approach following the tragic Lakeland Sawmill fire. Through Downing’s efforts — from supporting Lakeland employees and their families, to recruiting an HR director and helping build fresh foundations and HR strategy, her approach has helped heal and make whole both the HR department and strategy, as well as the organization and community of which it is a part. Downing’s acumen and experience has similarly served a wide range of organizations in industries such as, natural resources, manufacturing, insurance, and service industries, as well as in the public sector, health, education and not-for-profit organizations, including the University of Northern British Columbia, College of New Caledonia, Canadian Healthcare Association, Canadian Blood Services Insurance Inc., Health Employers Association of BC, Northern Health, and Fraser Basin Council. In a career seeded within the forest industry, Downing’s HR career took root in 1980 when she joined Northwood Pulp and Timber, and later Canfor, where she eventually became HR manager of their pulp and paper operations. 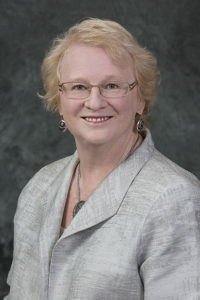 As a seasoned HR professional who has won the esteem of many, Downing’s accolades include the Canfor President’s Award of Excellence, Award of Merit from the Northern Chapter of CPHR BC & Yukon, Queen’s Golden Jubilee Medal, and, most recently a citation from the American Hospital Association Board in recognition of outstanding leadership, commitment and high standards of performance. That esteem extends into the broader community as well via Downing’s extensive history of volunteering — be that chairing conferences, community service or sitting on a range of Governance Boards, another area in which her expertise is widely recognized on local, provincial and national levels. Widely published and much sought after, Downing’s unflagging service undeniably serves the whole of many communities. For more information on the FCPHR title, CLICK HERE.